We are proud and excited to welcome you back in Gent, Belgium for the Auricula Open 2015. 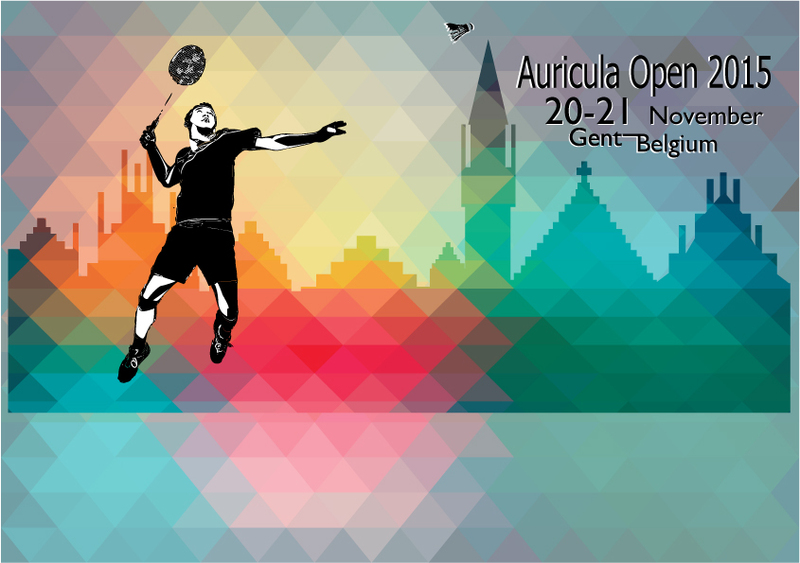 During the weekend of the 20th-21st November, Gent will welcome again athletes from around Europe to join Auricula’s 2015 Gay and Lesbian Open International badminton tournament. In order to fulfil the increased interest to participate in our tournament over the last years, we are using a brand new sports hall with 19 (nineteen!!!) courts! Therefore we will now be able to host around 200 participants. Plus in the same building there’s a subtropical swimming pool and a wellness centre for post competition entertainment. We will be offering men’s and ladies’ doubles badminton in skill levels A, B+, B-, C+ and C-. Mixed teams are also most welcome, and can join in the men’s competition. Plus for those without a playing partner, blind dates can also be arranged. The dinner & party on the Saturday night, will be in the heart of the historic city, and promises to provide a great social evening with excellent food, drinks and music. So note down the dates for your diaries, and we hope to see you again or for the first time, at our most friendly of badminton tournaments in the heart of East Flanders. Registration starts 12th September and will be closed on 6th November 2015. For more information and registration, visit our club website www.auricula.be/auriculaopen/. And finally, for those who are interested, we can offer private accommodation through hosted housing. We are looking forward to meeting you all, this autumn in Gent!